We offer carpet and fabric protection as an addition to your traditional carpet cleaning or upholstery cleaning in Winston-Salem. As you know, we take carpets seriously. This is our business, and it’s our job to give you the absolute best care that we can. We offer carpet and fabric protection as an addition to your traditional carpet cleaning or upholstery cleaning in Winston-Salem, North Carolina. 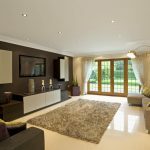 Carpet protector is an invisible coating which comes standard on all carpets in all residential homes and commercial businesses. 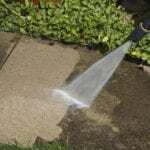 It protects the fibers of the carpet and acts as a stain repellant. The easiest way to understand this for most people is to think of waxing your car. Over time, your car gets dirty, so you clean it. After you clean it, it looks great. But you really want to make it shine and give the paint on it a proper protective coating to prolong the look and exterior health of your car. Our carpet protector acts in exactly the same way for your carpets as the wax does for your car. It coats the fibers of your carpets and allows the spills and stains to sit on top of the carpet fibers rather than soaking in and permanently staining them. Having this carpet protector reapplied will not only enable you to remove spills that would otherwise become permanent stains, but it will also prolong the life of your carpet and help the cleaning (that, keep in mind, you just spent your hard-earned money on) to last even longer. This carpet protector truly does need to be reapplied. This is because, with the wear and tear your carpets go through over time (whether it be from your weekly cleaning or just your normal traffic patterns), this sealant can be worn down, causing a danger to your carpets. Carpet manufactures recommend reapplying this protective sealant with each and every cleaning for this very reason that the protector will break down over time. Our delicate fabric protector is an invisible coating which re-seals your upholstery fabric. Much like the carpet protector, our delicate fabric protector provides a high resistance to spots, spills, and stains. It is safe to apply to any kind of fabric and should be reapplied just as often (if not more often) than on your carpets. 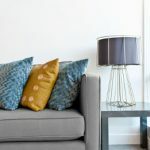 We suggest this because, with as much wear and tear as your carpets get, your furniture and upholstered items receive even more wear, tear, and overall dirt and grime. With all the powerful oils that the human body secretes, it can cause your furniture to become even dirtier than your carpets and you never even have to place a foot on them! Having this delicate fabric protector will enable you to remove spots easier that would otherwise become permanent stains, and it will also help protect your furniture from all the dirt, oils, and dead skin cells that you and your pets carry around with you. This delicate fabric protector will prolong the life of your upholstery and will also allow improved cleaning results for your future cleanings! To learn more about carpet and fabric protection, please contact us today at Steam Source. 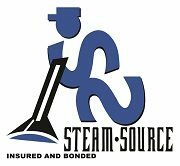 At Steam Source, we offer carpet and fabric protection services in Winston-Salem, Greensboro, Kernersville, Clemmons, Advance, High Point, Mocksville, Pfafftown, Jamestown, Oak Ridge, Summerfield, Lexington, King, Walkertown, Colfax, Lewisville, Welcome, Bermuda Run, Thomasville, Yadkinville, and Walnut Cove, North Carolina.